Distilleries with top-rate visitor facilities will continue to benefit from growing consumer desire to connect with brands on a deeper level. Last year almost 2m people visited Scotland’s whisky distilleries, an increase of 14% on 2016, according to figures from the Scotch Whisky Association. After graduating university, Wilson landed his “dream job” at the BBC, but eventually “got fed up sitting in an office talking to the same people every day”. 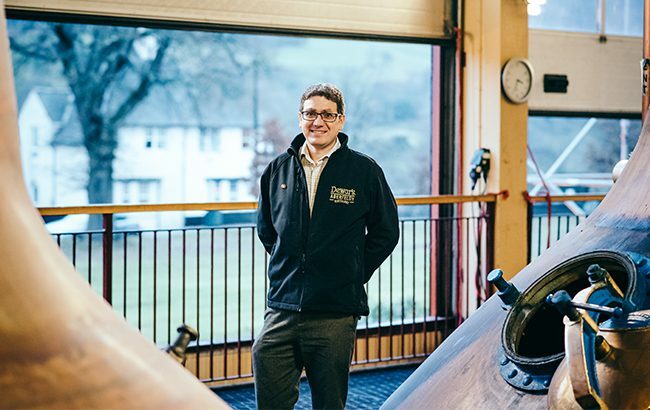 He decided to move into drinks retailing and after completing the WSET Diploma moved to Aberfeldy, which he describes as his “spiritual home”. In 2000, Aberfeldy opened the Dewar’s World of Whisky to “showcase the Dewar’s archive rather than hiding it away at head office”, according to Wilson. Following a significant investment and rebrand – which saw the site renamed Dewar’s Aberfeldy Distillery – the distillery won the Scottish Thistle Award for Best Visitor Attraction in Scotland. “I love knowing that I am contributing to a bigger success when our guests share what they have discovered with friends around the world,” says Wilson.